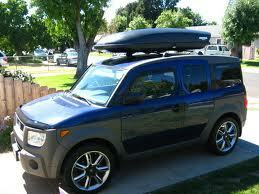 You: Woman driving a blue Honda Element with a Thule carrier. I left out one letter * on the plate in case there’s two such cars in Rutland. You were wearing aviator shades and between my sunglasses and the tint of my windshield, you had an odd, one-tone color set off against the blue of the car, like Mad Madam Mim, only yellow-green, not purple/pink. Me: Morning jogger coming down Baxter. We met two weeks ago today at the intersection with Crescent. You looked my way and I thought our eyes met as you dabbed the brakes coming into the four- way intersection: That first moment of recognition, of human-to-human contact, of seeing a new person in your life, where anything is possible. It must have been glare off the windshield, though, because as I sped up to not delay you at the four-way, you rolled through the intersection without actually stopping, accelerated west down Crescent toward the park and the school. I had to stop to avoid hitting you, almost tripped and fell into the side of your rugged, outdoorsy SUV. I like to think I would have left a hell of a dent; maybe not. I know it would have dented me pretty badly. I mention it because I saw your car again today, parked in a driveway at one of those nice, tidy cottages on Church Street about three blocks from my house. I talked to a man (your husband?) loading some stuff into it a couple of years ago when we were looking at an Element ourselves. I was on a run and stopped and asked him if he liked the car; he recommended it. Anyway, I just wanted to say hi. It’s a small town and I thought that maybe you would like to know who it was you almost killed; you know, the guy in the rearview mirror shaking his finger (index, for the record, not middle) at you.